The foodPark is very well organised, with all of the street food traders lined up in a curve (much like a candy cane!) on a section of Parker’s Piece. There are plenty of picnic tables in the middle of it all. 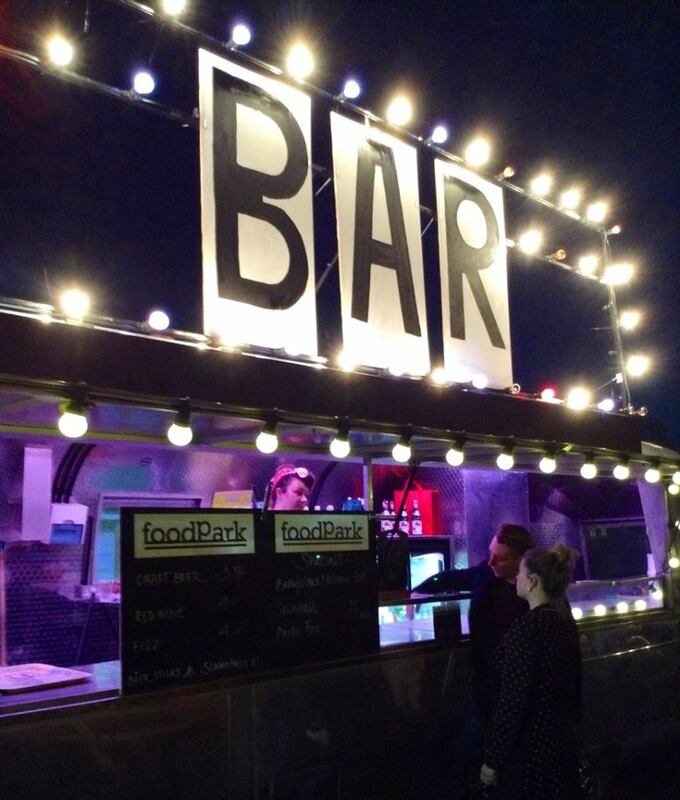 FoodPark is known for selecting top quality street food vendors serving freshly prepared food at a great price, so whichever vendor strikes your fancy you’re bound to be impressed! 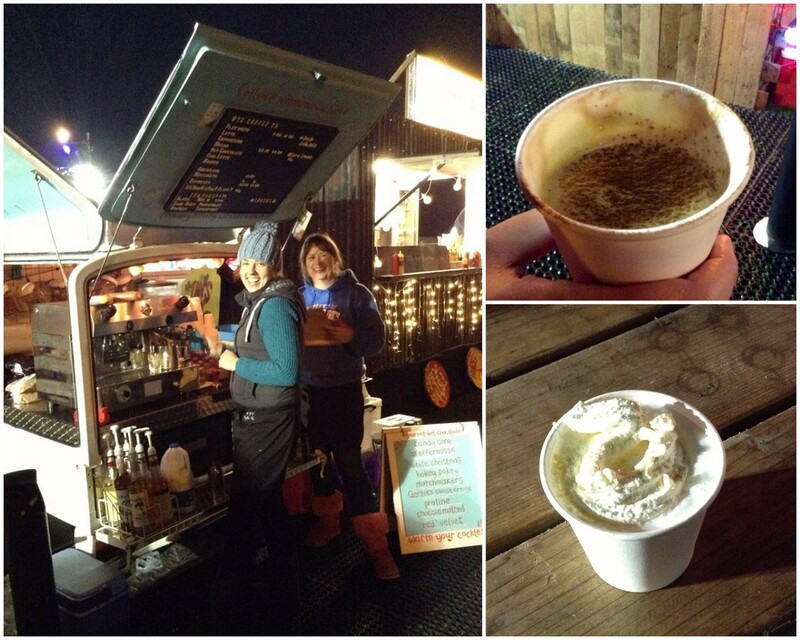 One of the most exciting aspects of foodPark at The North Pole is its first-ever mobile bar. 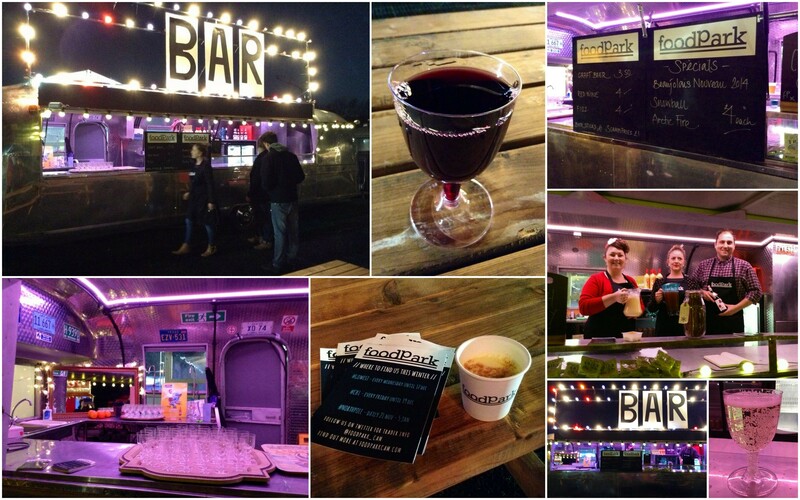 The stunning foodPark Bar is cleverly set up in an Airstream caravan and offers a variety of tipples, such as craft beer, cocktails (Snowball and Arctic Fire), fizz and wine, including Beaujolais Nouveau. After all, it was Beaujolais Nouveau Day and the wine on offer was Georges Duboeuf 2014, which I really enjoyed (and I’m not a fan of young wines, apart from vinho verde). The fizz was not too shabby either! Bar snacks include beer sticks and scampi fries. I also sampled one of foodPark Bar’s cocktails, the Snowball. A rich and creamy concoction of advocaat (made with eggs, sugar and brandy), lemonade and lime with a sprinkling of nutmeg, it went down smooth! The street food vendors will be rotating on a regular basis so keep checking foodPark’s Twitter or the website for the latest lineup. 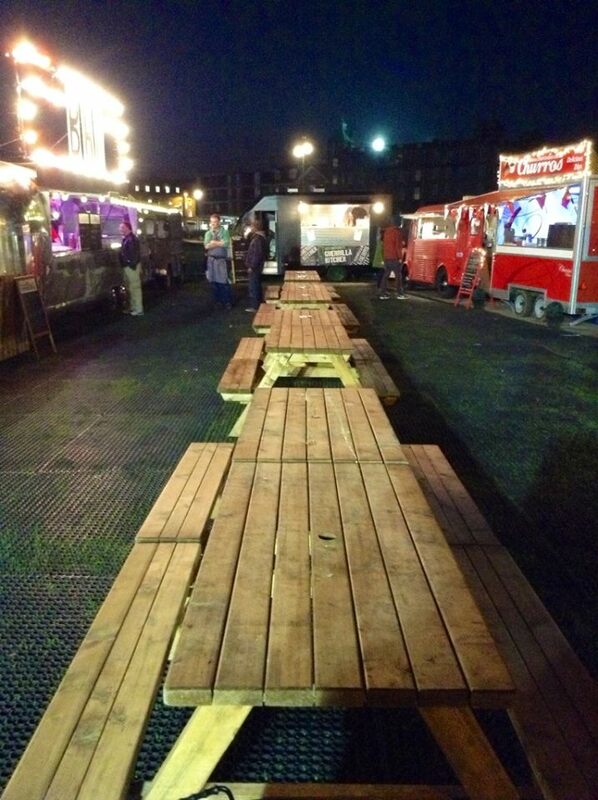 On launch night, the following traders were set up and ready to go: Braizing Saddles, Churros Bar, Dogtown London, GoGo Gogi Gui, Guerrilla Kitchen, Tin Kitchen, Steak & Honour and Warming Your Cockles Coffee Co. I was really spoilt for choice so it was great when samples were offered! I just may be the biggest fan of Warming Your Cockles Coffee Co.’s gourmet hot chocolates. 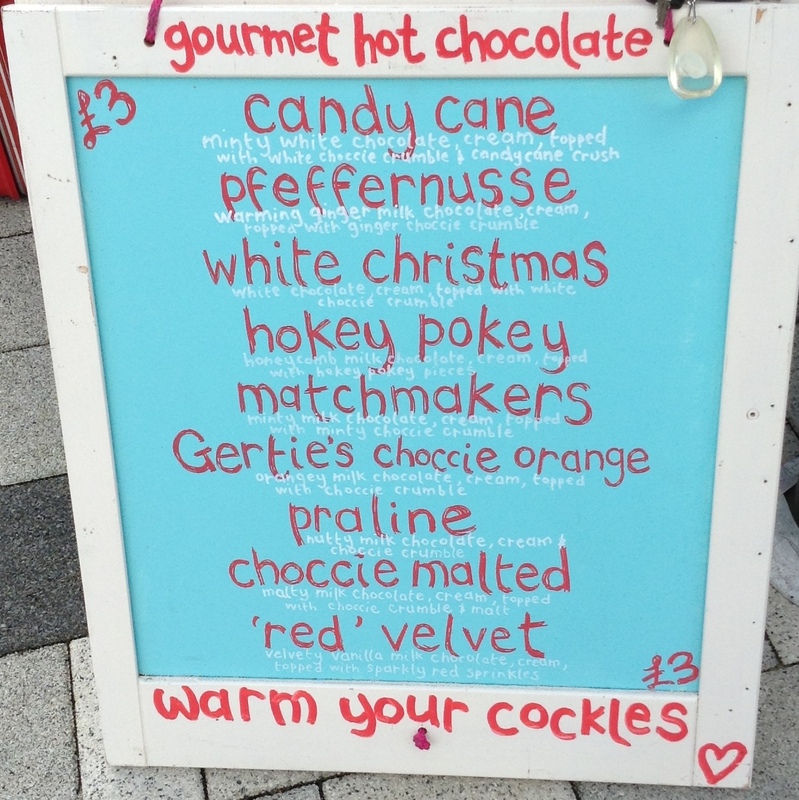 At other foodPark locations, I had already tried (and enjoyed) the Hokey Pokey (honeycomb milk chocolate, cream, topped with hokey pokey pieces) and ‘Red’ Velvet (velvety vanilla milk chocolate, cream, topped with sparkly red sprinkles). At the launch, I had the opportunity to try two more: Candy Cane (minty white chocolate, cream, topped with white choccie crumble and candy cane crush), which everyone around me was raving about, and Praline (nutty milk chocolate, cream and choccie crumble). I am determined to sip my way through all 9 gourmet flavours! My husband Paulo really likes their coffee. On this occasion, he had a cappuccino sprinkled with a little cinnamon. They also have some delicious cakes on offer if you fancy something sweet with your coffee or tea. 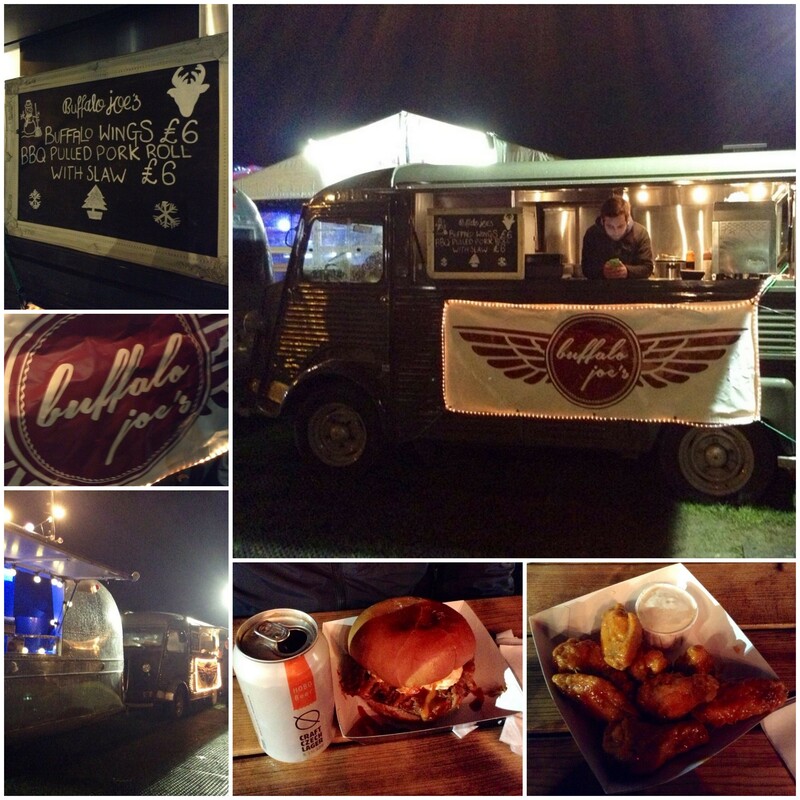 Steak & Honour were on hand, serving up a selection of their famous burgers. If you haven’t visited Leo, David, Charley, Katie and team at the hatch of one of their two Citroen H vans (one red, one white), you owe it to yourself to do so. I guarantee it will be one of the best burger experiences of your life. Riverside beef with lettuce, onion, gherkin, mustard and ketchup in a brioche bun… what’s not to love? They have other burgers on the menu as well. One of Braizing Saddles’ specialties is their soft shell tacos, filed with your choice of beef or pork. I tried their braised beef taco, topped with sweet sticky chilli glaze, toasted sesame and onion seeds. They come in twos, which was perfect as Paulo and I had one each. They were fresh, tasty and generously filled. Korean BBQ burger street food vendor GoGo Gogi Gui make a particularly good kimchi burger, which I’ve had before and heartily recommend. The Gogi burger is made with marinated beef and garnished with kimchi, red onion, lettuce, Gochujang mayo and cheese in a brioche bun. The Gui burger is its pork counterpart. 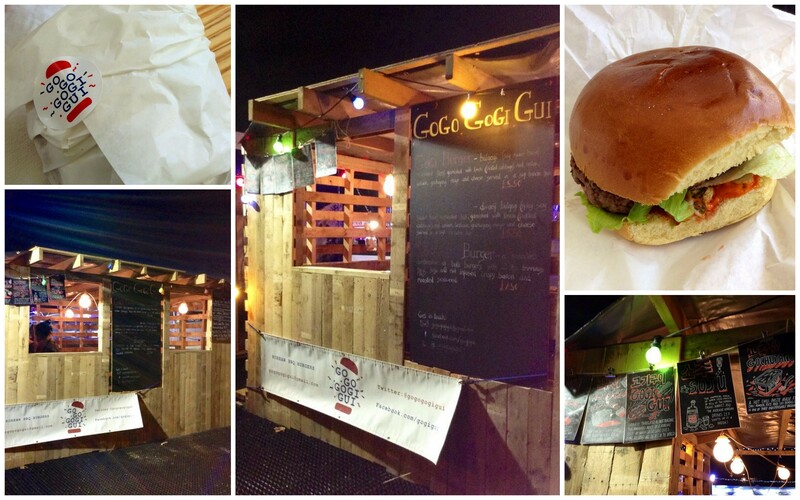 And if you can’t decide between beef and pork, the Gogi Gui burger offers the best of both worlds. 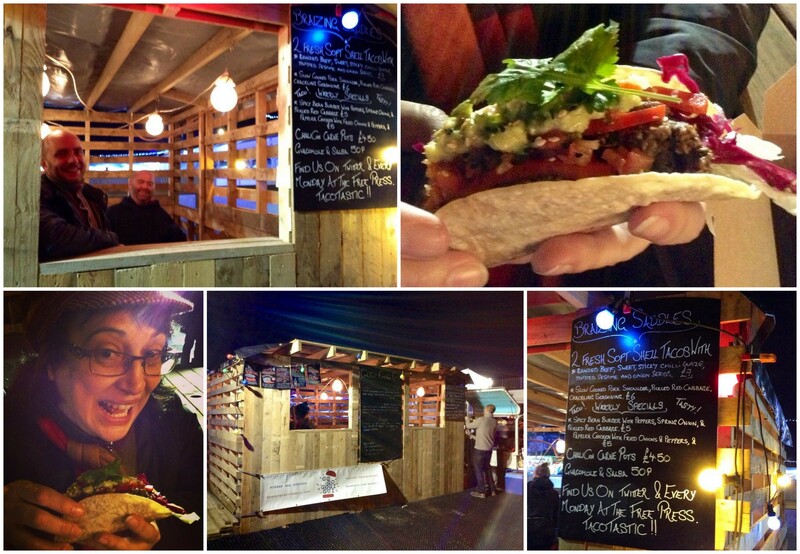 Braizing Saddles and GoGo Gogi Gui are sharing a rather nifty reclaimed pallet shed. Fired Up Pizza will also be on rotation there. I’ve had their authentic wood-fired pizzas before and they are delicious. 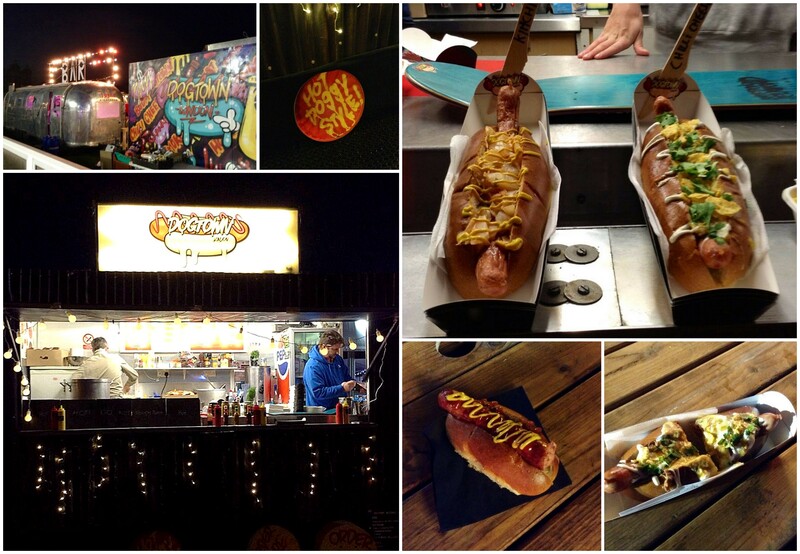 I had never tried Dogtown London’s hot dogs before and a bite of one of their samples (the North Pole hot dog) won me over. Paulo and I split a rather long chilli-cheese dog: a tasty beef frank topped with beef and bone marrow chilli, beer cheese sauce, sour cream, fresh coriander and tortilla chips… all nestled in a brioche hot dog bun. So decadent, so good, so satisfying! I must try their tater tots (deep-fried grated potatoes) with cheese sauce and bacon next time. 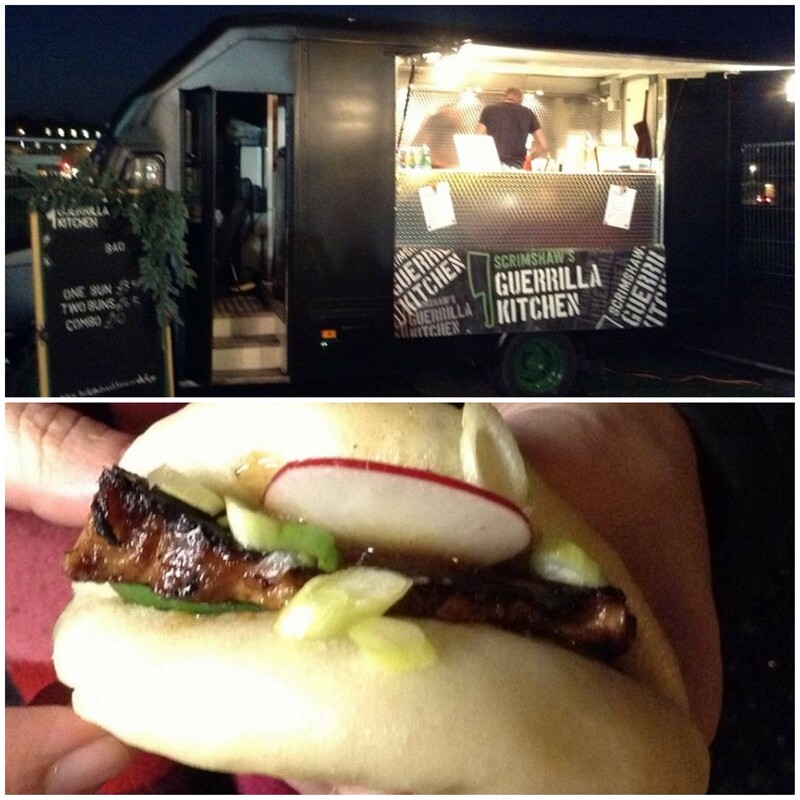 Guerrilla Kitchen are purveyors of delicious steamed buns and I had the opportunity to sample their pork belly bun with hoisin, sriracha and mint. It was very fresh and all of the ingredients complemented each other. I look forward to trying their other intriguing combinations. I have joined the bao revolution! 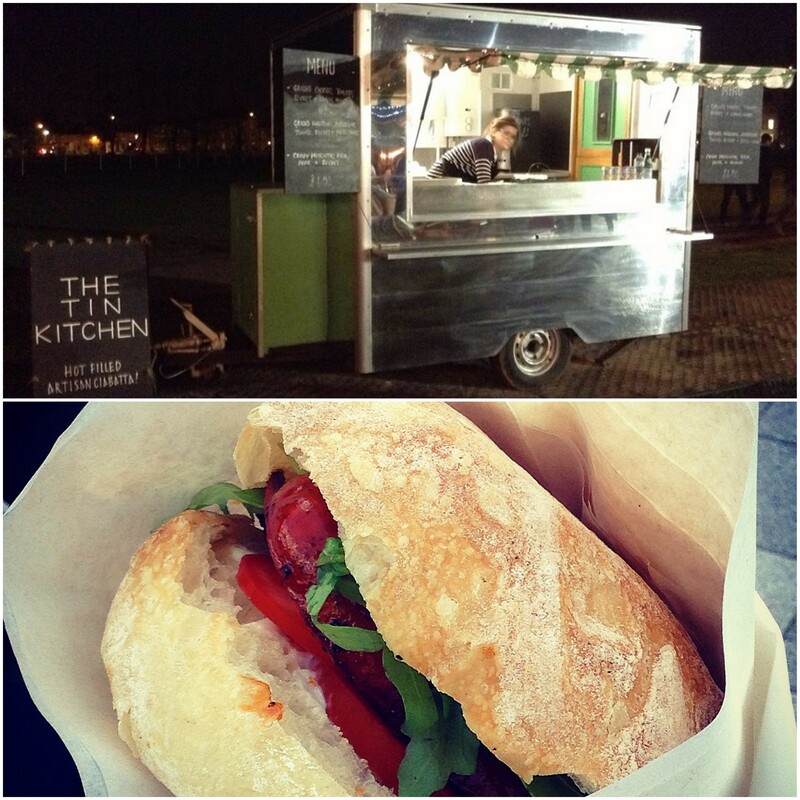 Makers of artisan ciabatta sandwiches Tin Kitchen were present in their lovely, shiny trailer. I’ve had their sandwiches before, namely the grilled chorizo, tomato, rocket and lemon mayo in a super fresh ciabatta bun. This was the very first trading night for Churros Bar and I felt fortunate to witness such a momentous occasion, as I am certain they will be very popular indeed. They tempted me with samples of their freshly made churros and their selection of homemade dips (salted caramel, lemon cream and Belgian chocolate with Amaretto). I topped off the evening’s meal with a generous serving of their churros, dusted with sugar and cinnamon. All of their dips were delicious but my favourite was the salted caramel. 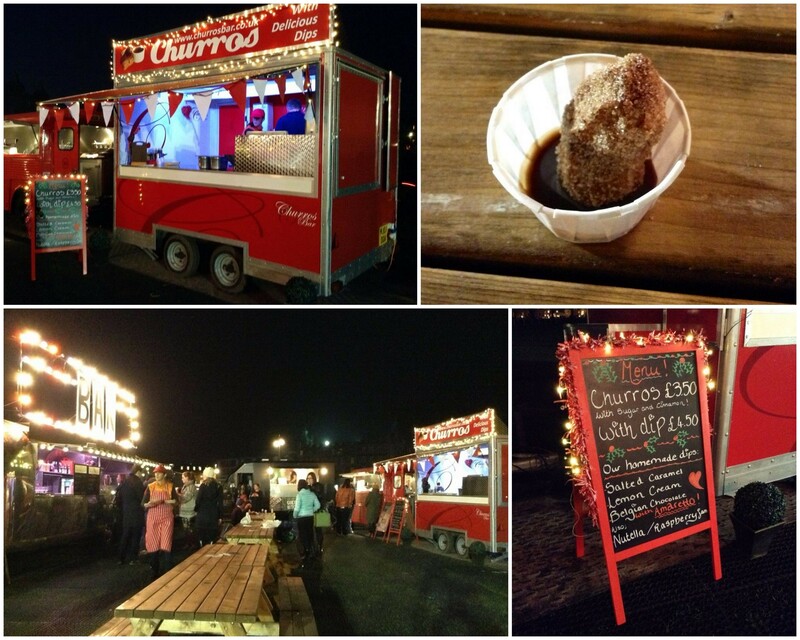 foodPark at The North Pole on Parker’s Piece runs until 5 January, 2015. 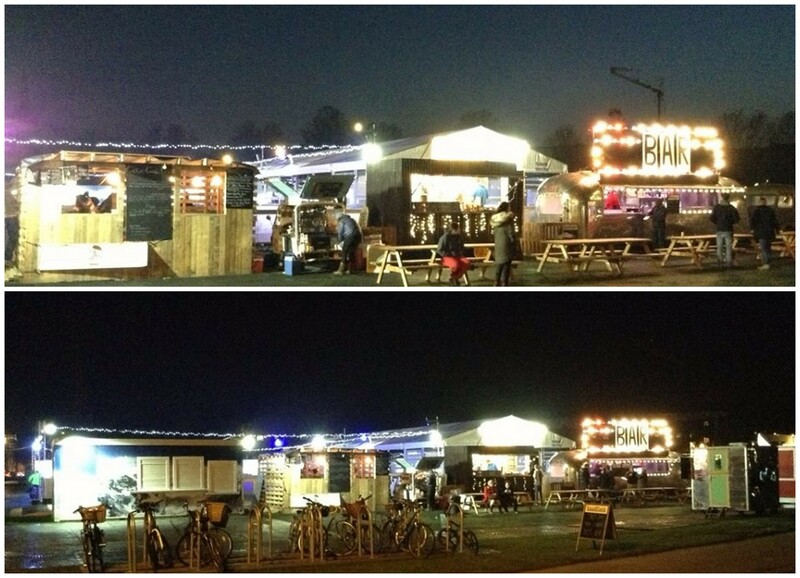 You can access the foodPark during trading hours, with no entrance fee. Food is available from 12pm to 2:30pm (lunch) and then again from 5pm to 8pm (dinner) on weekdays (Monday to Friday). 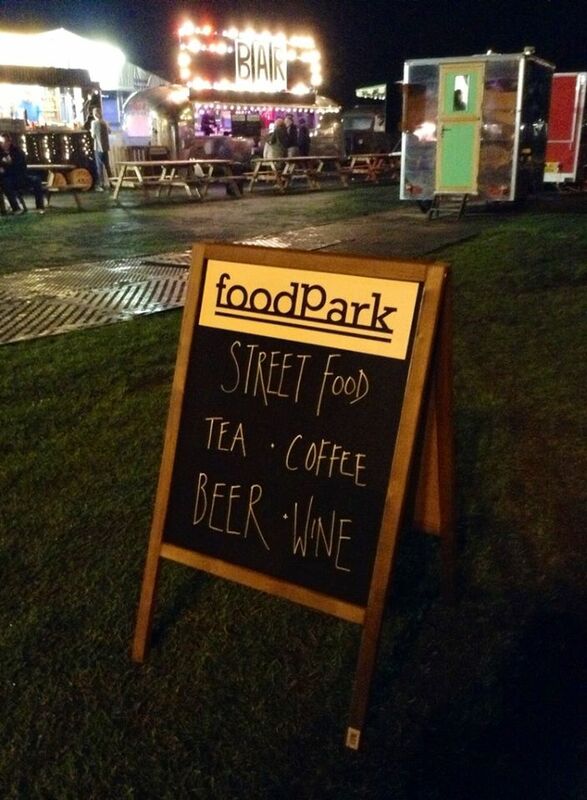 The foodPark Bar is open from 5pm to 8pm on weekdays. 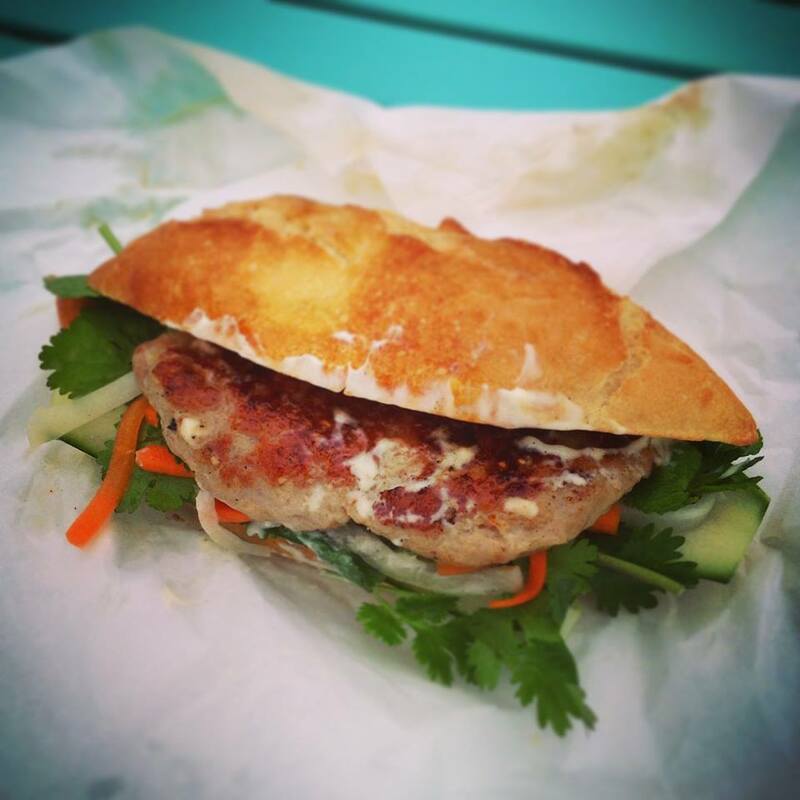 On Saturdays and Sundays, both the street food traders and foodPark bar will be open from 12pm to 8pm. From Saturday 20 December until Monday, 5 January, foodPark at The North Pole will offer all day continuous service (12pm to 8pm). It’s a great way to replenish your batteries in the hectic days leading up to the holiday week. Then relax and satisfy your cravings after New Year’s Day. 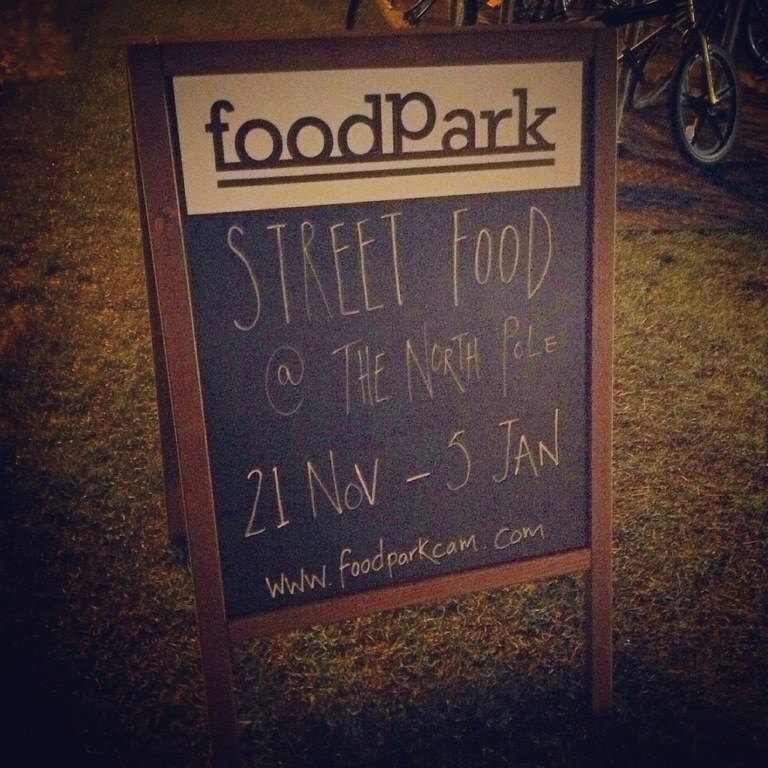 foodPark at The North Pole will only close the hatches on Christmas Day, Boxing Day and New Year’s Day. They will close at 6pm on Christmas Eve and New Year’s Eve. 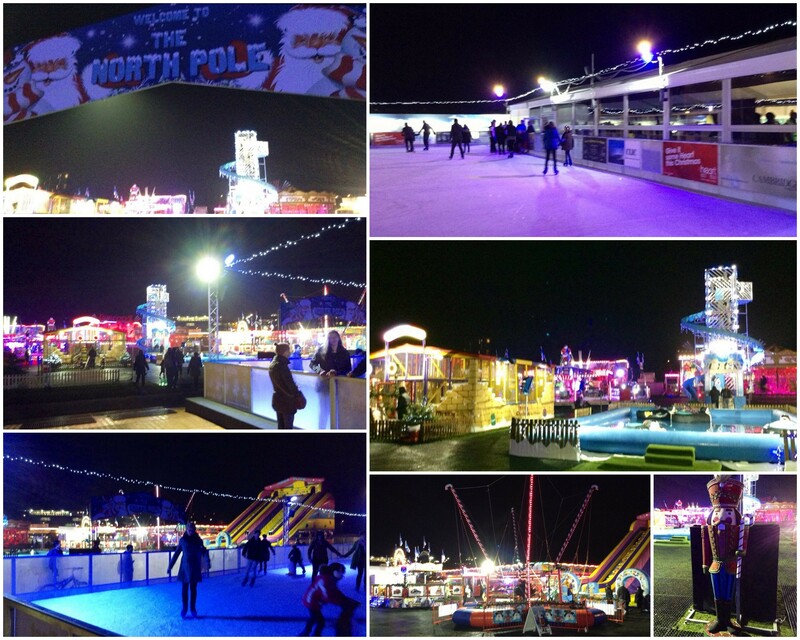 Make sure you stop by The North Pole before it all disappears for another year! 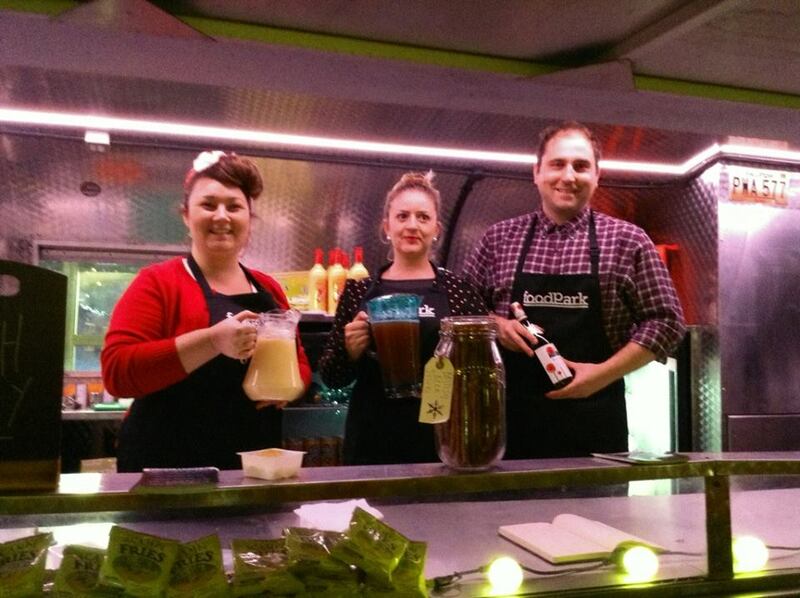 Luckily, foodPark regularly operates at other locations in and around Cambridge, namely Station Road, West Cambridge and Cambridge Business Park. 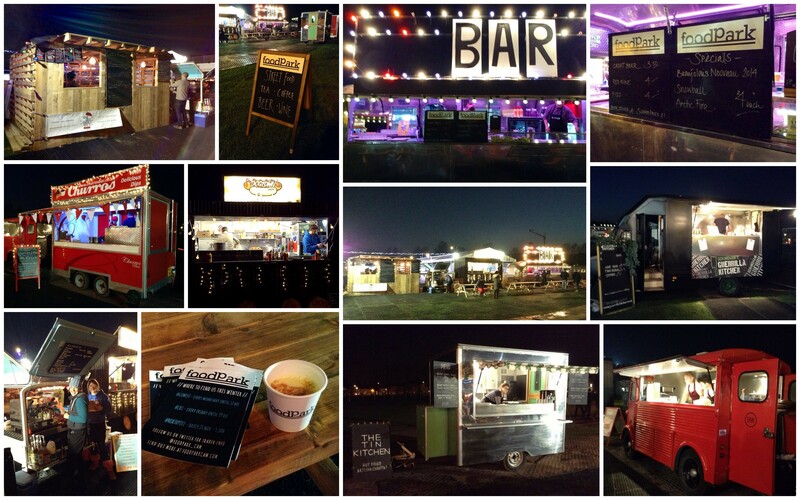 Check foodPark’s Twitter or website for the latest dates and traders. If you sign up for their newsletter, you’ll always be in the loop! 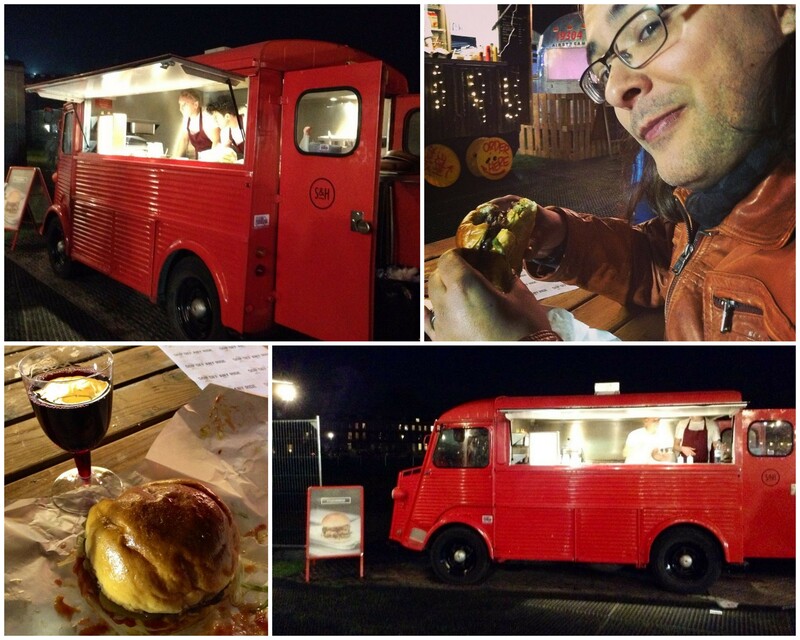 foodPark Cambridge invited me to attend the VIP launch but were unaware that my experience would be the basis of a written review. It is based on my experience at my own cost, although I was offered some complimentary food and drink samples as part of the event. I did not receive compensation for my review. This entry was posted in Food Events and tagged bao, Beaujolais Nouveau, Braizing Saddles, Cambridge, chilli cheese dog, churros, Churros Bar, ciabatta, Dogtown London, Fired Up Pizza, foodPark, foodPark Bar, GoGo Gogi Gui, Guerrilla Kitchen, hot chocolate, kimchi, Parker's Piece, pop-up food market, Steak & Honour, steamed buns, street food, tacos, The North Pole, Tin Kitchen, Warming Your Cockles Coffee Co. by One Two Culinary Stew. Bookmark the permalink.